This level has medium difficulty. 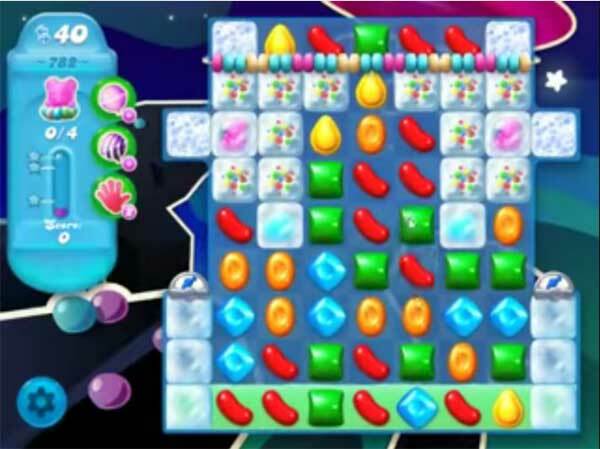 For this level try to play more near to blockers or top part of the soda to shuffle the candies. Make special candy as you get the chance and combine them with each other to break the soda bottles. Or play near to bears to move them to the top. What is eating my moves because I only have 32 and in the video all 40 were used. ? I have the same question about the number of moves. I only have 32 instead of 40. What am I missing?? No matter how many fish I create, most of them go places that don’t do any good. I’m having the hardest time, so far, and this is rated medium? I don’t get it (obviously). I think you get the worst boards when you don’t spend money. Sorry, not happening. Might have to quit on this one.